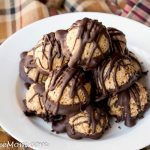 These Keto Sugar-Free Peanut Butter Cookie Dough Truffles are Low Carb and can be made nut free as well as dairy free! 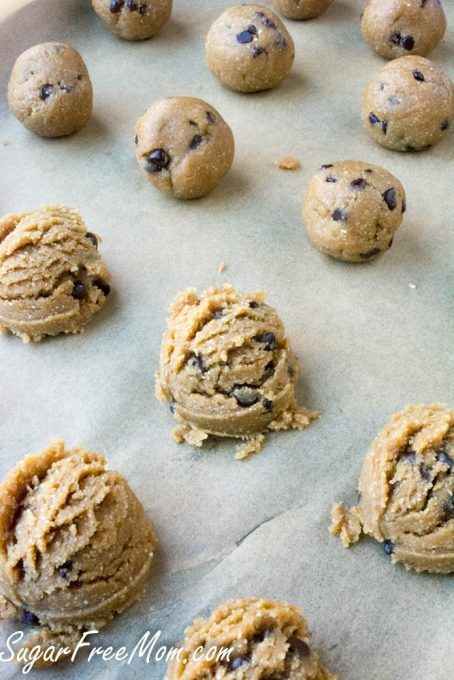 Cookie Dough you can eat without the worry of raw eggs is the best kind of cookie dough in my opinion! 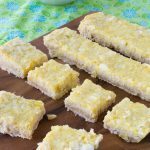 It’s creamy, luscious and perfect for a quick snack on the go! 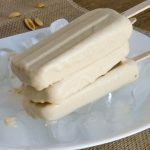 I’m also always looking for ways I can adapt a recipe to make it peanut nut free for my youngest who has a tree nut and peanut allergy and this recipe can easily be adapted. Sadly now my daughter is feeling like dairy may be causing her issues. 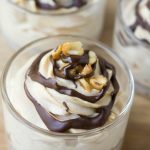 Good news again her is that this recipe can easily be made dairy free. It’s a win for everyone! If you’re on a keto diet then you know fat keeps you satiated and having fat daily helps keep a low carb and keto life style sustainable. Did you read about my 6 week Keto results? I no longer fear fat and neither should you! 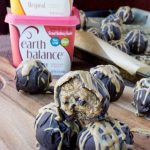 Making simple cookie dough truffles is a great way to have a keto friendly and low carb snack between meals. I find I typically need a little sweet treat after dinner, yes, I’ve got a sweet tooth for sure! 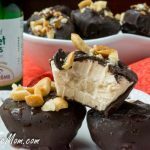 These little Fat bombs, hit all the right notes and satisfy in every way! As many of you all ready know, my youngest son has these allergies and my oldest has a peanut allergy. 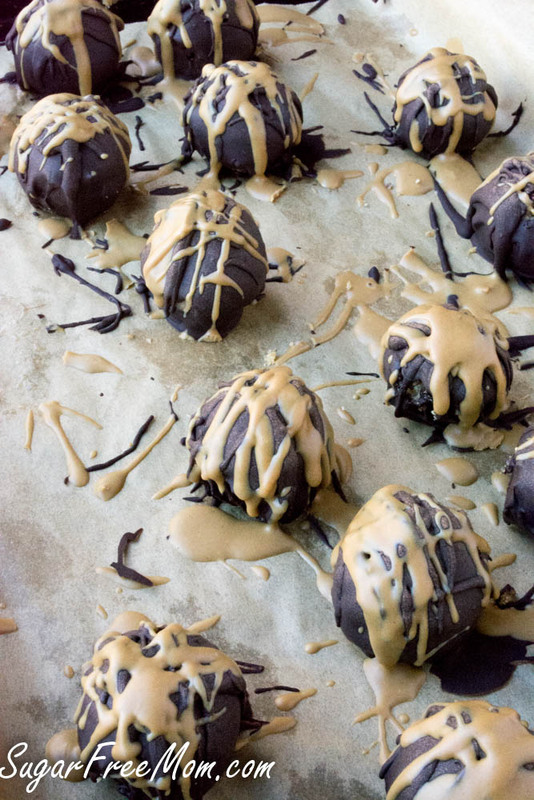 It’s very easy to sub the peanut butter in these truffles! 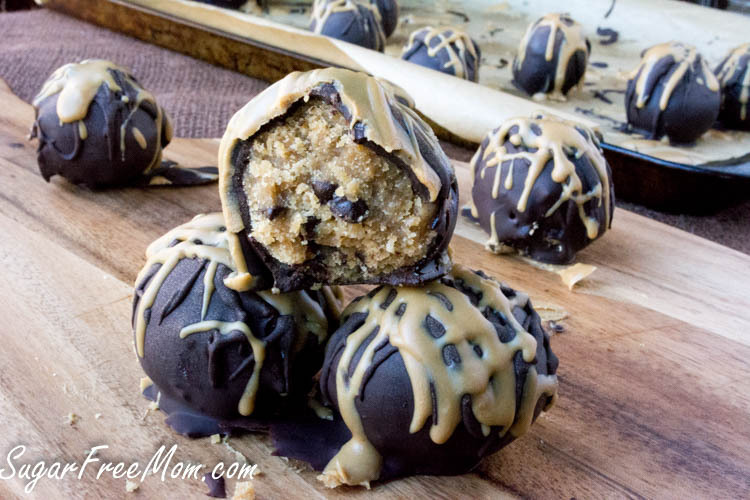 I’ve successfully made these with sunflower seed butter and both versions are incredibly tasty! 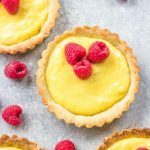 Creating recipes that can accommodate many of us with allergies and those of us who choose to eat sugar-free and low carb for health reasons, is what I strive for here. Not only is my priority sugar-free recipes, but also I try to make them as low carb as I can and gluten free since this how I eat on a daily basis and what makes my body feel at it’s best. My family ate these truffles up in a matter of days! I think they will be a new favorite of yours as well! You can replace the almond milk with any milk of choice. If you prefer not to use Swerve, replace with a sweetener of choice and also eliminate the liquid stevia if using maple syrup or honey. If you don’t have chocolate liquid stevia for the outer chocolate coating you can use clear or vanilla stevia or even use a favorite candy bar you like. Using an all ready sweetened candy bar, like sugar-free Lily’s Sweets with stevia in it will still increase the nutrition info here. 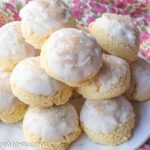 This recipe was first published in Feb of 2016. In a stand mixer combine the peanut butter, butter and Swerve sweetener or sweetener of choice and blend until smooth. Stir in the almond milk, vanilla extract and liquid stevia until combined well. Last whisk the almond flour and salt together and blend on low in the stand mixer until everything looks well incorporated. If you are using optional chocolate chips, stir them in gently now. 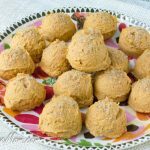 Use a large cookie scoop and make 24 balls and place onto a parchment lined baking sheet. 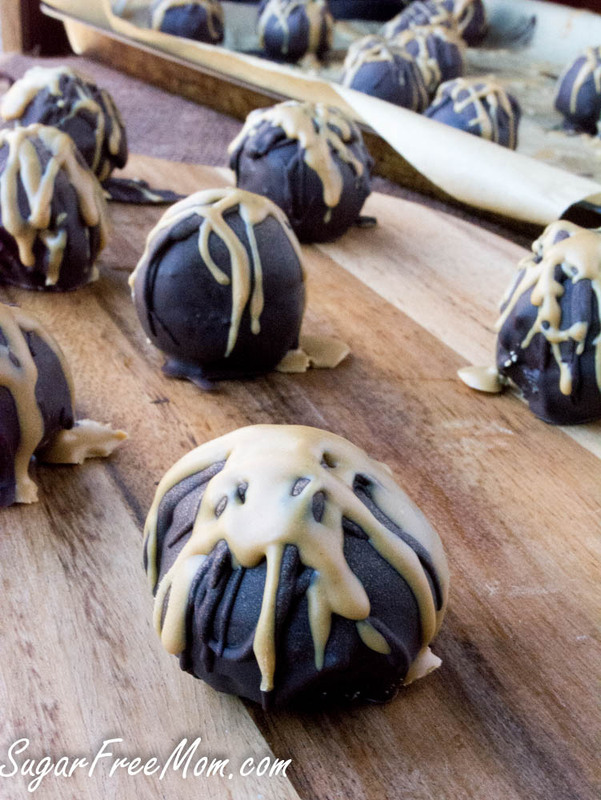 Roll each into a nice round ball and refrigerate for 30 minutes while you make the outer chocolate coating. To make the outer chocolate coating, melt the chocolate in the microwave for 30 second intervals until you can stir it smooth without lumps. Or place in a glass bowl sitting over a pot of simmering water on the stove. Once melted add the chocolate liquid stevia and taste and adjust to you preference. Dip each ball into the chocolate and place bake on the baking sheet. Allow to harden or refrigerate until hardened. 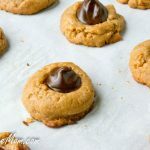 Once hardened, if using peanut butter drizzle stir the ingredients together and drizzle over the chocolate coating. Nutrition Info does not include peanut butter drizzle but does include the needed outer chocolate coating. Can i replace liquid stevia with honey, mapel syrup or anything else? I dont have this item. 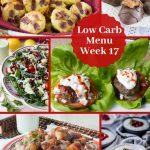 What would be the best low carb option? Yes you can do either. I would say maybe just 1/2 cup or start with just 1/4 cup and taste it and decide if you need more. In the top right corner of every recipe card there is a print button under the picture. Do you think it would still work if I substituted almond flour for the coconut flour? Yes I do think that would be a fine substitute. YUMMY….! This looks very attractive. I liked it. I’ll try this at home. Thank you so much, Brenda for sharing this. I also love chocolate. I like your recipe. Thanks for sharing. I tried these and they were too soft to form into balls; too wet. Why do you think? The peanut butter was pretty soft; any suggestions? Can you tell me the brand of peanut butter used and if it had sugar in it? A simple remedy would be to place the bowl in the fridge for 30 minutes and then you should be able to form into balls. i was really excited to find this recipe, since we are trying not to eat carbs. Unfortunately, I wasted $6 worth of baking chocolate with this recipe. The chocolate melted just fine in the microwave, but immediately upon adding the liquid chocolate stevia, it hardened. Tried to reheat it, but it would not melt. So disappointed! What a shame, as I really liked the center. Do you have a substitute for Lily’s dark chocolate? My family has a huge gastrointestinal issue using these even though they are soooooo good. Any help would be lovely. You could just use some dark chocolate and chop in into little pieces, maybe 85% or higher as that has the least amount of sugar and carbs.